From a professional athlete who travels much of the season to a stay-at-home dad who homeschools, local dads find diverse — and meaningful — ways to be actively involved in their kids’ lives. In North Buffalo, Peter DeLaPlante and his wife Suzanne said they didn’t want to their kids — Michael, 8, and Morgan, 5, — to be raised by babysitters. So early on they agreed one of them should stay home. Suzanne took a full-time job while Peter became “Mr. Mom” — a role he relishes. For Buffalo Sabres forward Jason Pominville, 35, being a pro athlete means he doesn’t punch a standard 40-hour time clock like many dads. Away from home sometimes for long stretches, the magic of technology allows Pominville to stay in touch with his wife, Kim, and their kids Jayden and Kaylee. LaGuan “LG” Rodgers is a 36-year-old divorced father of two to Violet, 6, and Landry, 5. 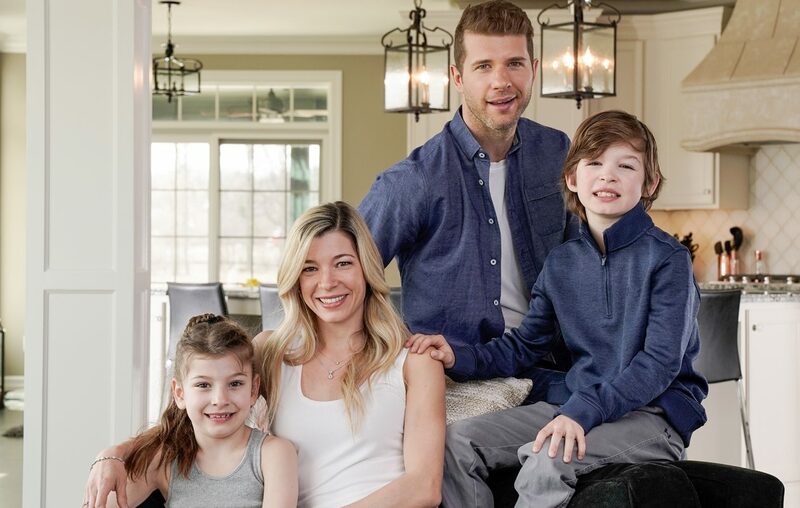 Rodgers, like Pominville, may not see his kids every day, but has made it work with their mother, Sasha Rodgers, with whom he still has a strong friendship. “We both agree that we want to raise two productive citizens that are God- fearing, who are adding to society more than taking away from it,” Rodgers said. Stay-at-home dad Peter DeLaPlante regularly involves his kids, Morgan and Michael, with his Meals on Wheels deliveries. DeLaPlante, who’s always been mindful of teaching his kids the importance of giving back, agreed. Delivering for Meals on Wheels three days a week, DeLaPlante frequently takes his kids along with him. His son Michael has learned from this example; for the past two holiday seasons, he and his friends have organized charity sock drives at school. Divorced dad LaGuan Rodgers’ best parenting strategy has been teaming up with his ex-wife to raise the kids with shared values. LaGuan Rodgers said that there is no one-size-fits-all method of parenting. An approach that can bring the best out in one child may not necessarily reach another. He said the greatest gift you can give a child is yourself. Rodgers also credits his second wife and his kids’ stepmom, Samantha, for the way she’s handled the balancing act of loving Landry and Violet like they are her own, while understanding when to take a step back and let he and Sasha make big decisions. One of DeLaPlante’s more important parenting strategies involves not comparing the kids. DeLaPlante added that finding balance is key. His kids are active in sports like baseball and swimming; board games are the norm while screen time is limited. Andrew Kulyk, right, said he is surprised by how much joy becoming a stepdad to Charlotte, 5, has brought. Partner Tim Duffy is on left. Andrew Kulyk, 60, never imagined life as a father until he met Tim Duffy. Friends for years, Tim and Andrew entered into a serious relationship last October after Tim’s divorce. Kulyk used to spend the bulk of his days traveling to sports venues around the world as a journalist. But today, life also includes cooking mac and cheese and telling bedtime stories to Tim’s daughter, Charlotte, age 5. Although Kulyk is very involved in Charlotte’s world, the discipline and tough love still come from Tim and his ex-wife…an arrangement that works for all members of this blended family. Duffy, 33, still marvels at having Andrew in their lives, citing his oversized heart and sense of humor as another positive influence on his daughter. “It’s truly special seeing the interactions between my little girl and the man I love,” Duffy said. The importance of a strong male role model can never be understated. Just ask Johnny Alessandra. Alessandra, 24, was a young boy when his mother walked out of his life. Although things could have fallen apart, Alessandra said the love and devotion of his father, John Sr., kept the world together for him and his sister, Christina (now 26). Alessandra said his dad cooked, cleaned and cared for them fully from that day on, and was always in the stands with his trademark “I love you” fist pump, supporting both kids when they played high school sports. Alessandra said this instilled in him how a real man cares for his kids. Developing character is high on all the dads’ lists. While some may still hold on to the notion that family life should be a replica of a Norman Rockwell painting, the reality is that in an ever-changing, uncertain world what really makes a family is love. Just waking up to their smiling faces – and seeing them grow in school, reading, activities and sports. What do you like doing most with your kids? It’s hard in the winter because I’m away. So for me, it’s getting to go to all their activities, practices, games and meets. Jayden (8) plays hockey, baseball and lacrosse. Kaylee Rose (6) is in gymnastics and ballet. At the end of the season, we surprised the kids at school – we showed up wearing Mickey ears and left for Disney from there. It was such a fun surprise. What’s your dream Father’s Day? Going out for breakfast as a family, then watching Jayden in a hockey game and Kaylee Rose in a gymnastics meet. Favorite places to eat in Buffalo? Hutch’s, Sake Café for sushi, San Marco for special occasions.